YS: I am Tyrell Slappey, Ty, Slapz, Young Slapz, Slappey, whatever it is that you want to make out of my name. I am Strong, Empowered, Classy, Competitive, and Determined. YS: I take thoughts that I can’t typically speak and write them down in a rhythmic layout and deliver them through speech laid over an instrumental. Now most people would call that rapping. I don’t rap. I make music. I’m an artist. Rappers try too hard and care too much about what the next person feels about it. An artist creates something and MAKES you feel something about it. What you derive from it is your choice but to everybody it means something. I am in a rap duo called NGC along with my longtime friend Marcus Edwards, which is under a larger scale group of 8 solo artists called “High Royalty”. We help each other out and combine our fan bases to create a system that will benefit us all in the end. YS: I’m passionate about success, my music, my education, and my family. To sum it up, I feel like I can gain success through my education and my music to support my family and in the end, if they are good then I’m even better. YS: The situations I endured growing up Detroit whether good or bad, and my strong faith in God is what strengthened me and made me into the man I am today. On top of all the people behind me. Every situation had a lesson. Every person behind me or close to me is a support system. I take those lessons and that support system to strengthen me. If I’m going through anything I can look back on something I overcame in life and use the strength from that to fight it off. YS: The majority of my standards that I apply to my life came from the values of my mother and they still do till this day. Or I’ll look at a life lesson she taught to me. I would say aside from my friends that I can always lean on and fallback on she is my strongest asset and keeps me empowered. YS: I think class has a different definition for each person. You won’t see me out and about in “upscale” attire or a shirt and a tie all the time. Most people feel you have to do that to carry yourself in a classy manner, however that’s not true at all. It’s all about the man or woman underneath the clothes and how he or she carries themselves as a person. Professionalism and proper branding is one of my main concerns when doing music. If you book me for a show. I want a professional email booking me, I want to be up to date on details and when I arrive I don’t want any nonsense occurring. For example, if me and High Royalty have a showcase coming up and you send me a professional email and in my opinion your music is trash. We will probably still book you because the guy with amazing music just sent an email with 2 mp3s and nothing else. You MUST MUST MUST carry yourself in a professional manner when dealing with this business of music. If I’m going up against you for a spot on a show and you say you can check out my Youtube for music then I say well you can go to http://ngcdetroit.com and view everything concerning me from music to videos to a bio. I think my professionalism just stole your spot. When I drop a song it has to drop on schedule with professional song or album art for it. Presentation and Professionalism is a must I don’t know how much I can stress that. So in my field I do agree that a standard of class is necessary. YS: I’m more than proud. I’m a 24 year old African American male, with a Bachelors in Food Industry Management & graduating with a Masters in Entertainment Business in May 2013. I have my own home, car, and I control my own money and bills. I have a musical career that is going steady and even if that does not work out, I have two degrees to fall back on. I have too many different paths to success; it’s just the decision of which road to take. I can take them all. The best thing is when I’m conversing with someone and they say “your mother must be proud she raised a hell of a son”; that gives me the best feeling, like I’m doing something right because honestly, I’m not perfect; nobody is. I’ve broken hearts, I’ve done wrong by people, lied, cheated; everything that any other person probably has done. So when somebody says that, it makes me feel like even through all of that, I’ve came out alright. Better than alright, actually. 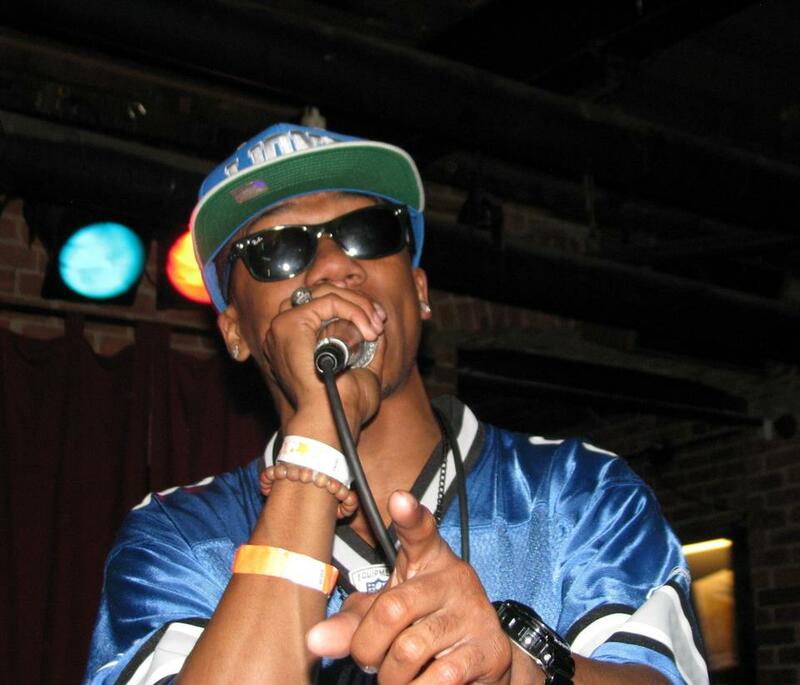 YS: I’m Tyrell Slappey, I go by the rap Alias of Young Slapz, I’m repping Detroit, NGC, & High Royalty. Through my music you can learn who I am, learn my life, my story, the things I like, the things I don’t like, the things I’m passionate about, the things I care about, the things that I’ve done, and the things that will happen in the near future. I have a sound that nobody has. I am the first Young Slapz. Take some time and go to http://ngcdetroit.com and vibe out to my music. It’s literally something for everybody there, we have party songs, chill songs, love songs, whatever you need. We are people and in some type of way we can relate. Follow me on twitter @YoungSlapz, instagram is YoungSlapz and stay connected with me as I travel down these road to greatness. I’m a cool dude just striving for my goal. Thank you for visiting www.janethangproductions.com. Be on the look out for more sources of inspiration from The Strong, Empowered, & Classy Project each week! We are truly thankful for Tyrell Slappey’s participation in sharing his passionate story with us. Be sure to check support the rap duo NCG, Young Slapz’s new mixtape, Simply Lemondade 2 and High Royalty by clicking the website links listed above. Thanks again please share Young Slapz’s perspective of strength, empowerment, and class with your friends!